MULLIGAN Field Hockey Club cultivates and develops all athletes in team based opportunity. Teaching “inspired athletes become champions” as a model and tool for life skills. Even if you do not have the intent to become a collegiate athlete but you are motivated to play your very best, do not miss out on learning skills, new tactics, vision, discipline, strong work ethic, and build mentally tough decision making skills to help you for a life time. Our mission is to provide athletes with ability, desire and commitment to play at their highest potential. Athletes learn with a progressive teaching method that is aligned with USA Field Hockey junior development strategy improving all athletes’ technical and tactical ability. Tryouts are on Sunday, December 9, 1:00-4:00 p.m. at Edison High School. Practices are on Saturdays and will begin in January. The club competes in tournaments throughout the season. This tryout is for girls in junior high and high school, so you know anyone interested in playing field hockey, pass this along! Our varsity coach, Judy Schaefer is the one that heads up this program. It is an amazing experience to learn and play field hockey with other players from around Orange County. This program pulls girls for Harbor, Edison, Westminster, Fountain Valley, and Marina. 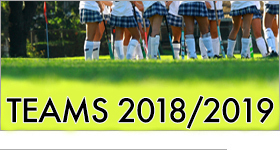 Futures is an excellent opportunity to elevate your field hockey skills and meet great coaches and athletes. Athletes participate in seven training sessions and a regional tournament. The program is focused on training individual athletes in the U-14, U-16 and U-19 age groups. The athletes in the program will train in seven, 3-hour training sessions, that are focused on the individual athlete and the athletes can also participate in a regional tournament at the conclusion of the seven sessions. If you are interested in being a part of the 2019 Futures Program, please contact Coach Amanda right away.